Do not eat them! 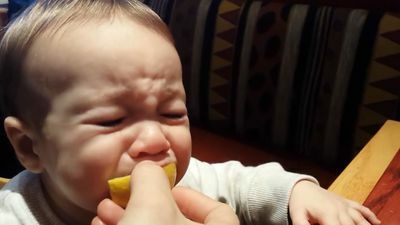 Toddler tries lemon for the first time. 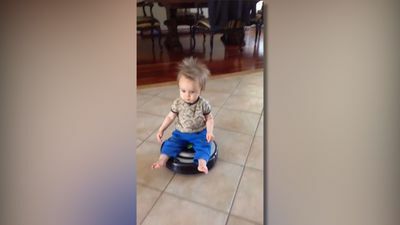 Little boy riding a hoover.